We are investigating. The TeeChart smoothing method appears to be calling correctly the underlying graphics class, we can note a barely discernible difference (before/after) so something is processing; but it is not the response we would expect. 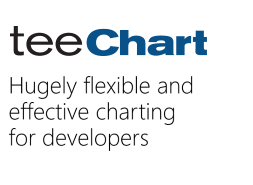 There's no native support for css in TeeChart for Java. Appearance characteristics require to be coded. We're just finishing the preparation of the changes and will get back to this thread with information within the next couple of days.